Anyone else totally in love with their air fryer?!?! 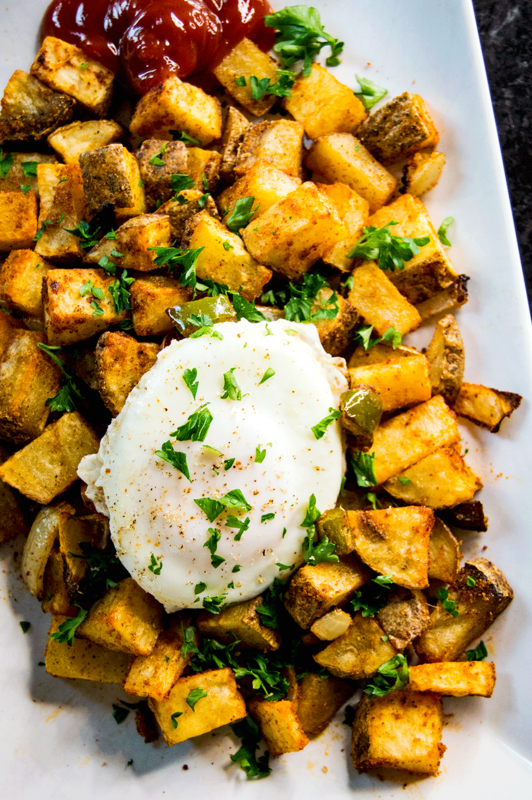 Air fryers are great not only for quick-heating frozen foods, but also perfect for 'set it and forget it' style breakfast potatoes! 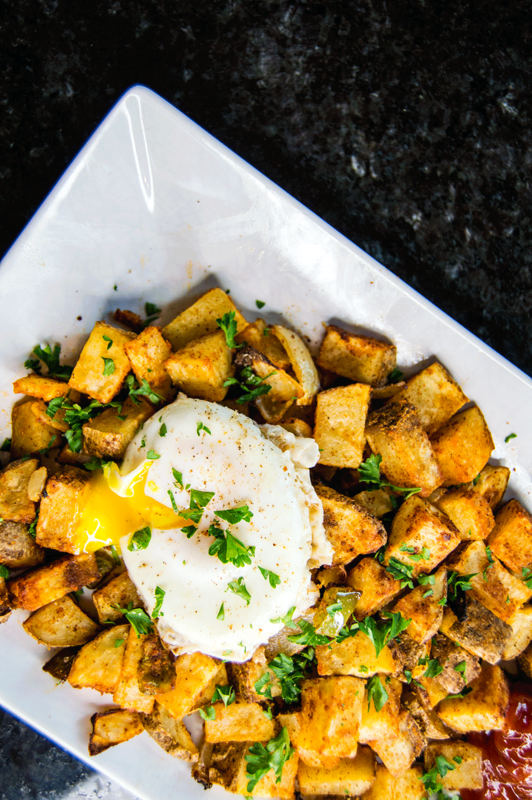 These potatoes are a variation of my favorite paprika potatoes recipe that I've been making for years. This time around, I made the same recipe but in my air fryer - and honestly, I don't think I'll ever go back to the skillet! I just let the potatoes cook while I worked on poaching my eggs - just a couple shakes later and they were cooked perfectly tender. Wash and chop the potatoes. In a large bowl, drizzle the cubes with the olive oil and then stir in the paprika, garlic powder and chili powder until the potatoes are coated. 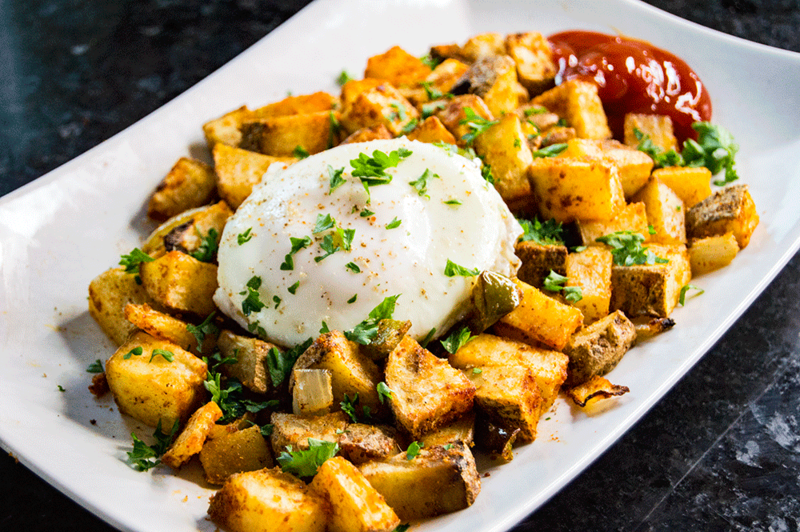 Arrange the potatoes in a single layer in the basket of an air fryer. Cook at 400 F for 20-30 minutes, opening to stir every 10 minutes or so to cook evenly. 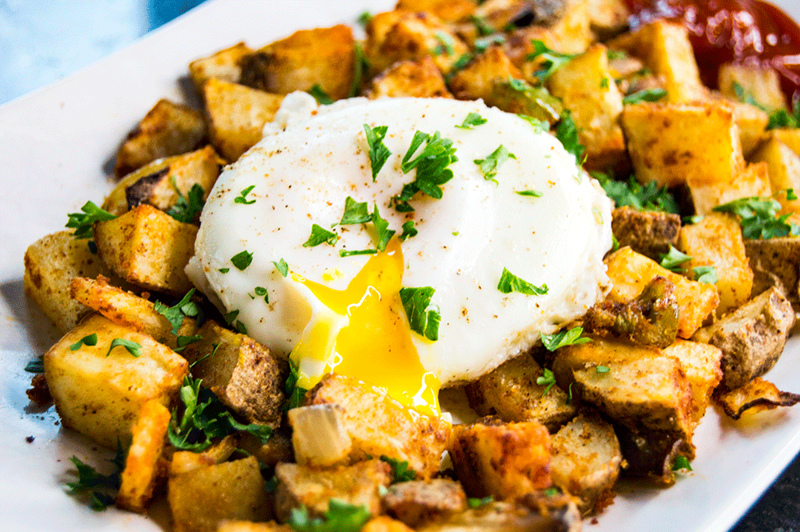 Serve with poached eggs and sriracha ketchup. Enjoy!